The cold season it’s having its toll on our skin and sometimes our moisturising cream doesn’t keep up with the change of temperature we expose ourselves to. If you are like me then the central heating is quite high at home. I hate being cold at home and always like to wear something very light so I can relax. The hot air doesn’t do my skin any good and I have to moisturise quite often, plus I have to put up with the heating at work and the cold air outside. Needles to say, I don’t particularly like the cold season, though I contradict myself ! I loove snow. Don’t hate me for this but I’m looking forward to see some snow this year. Makes it more christmasy. So, are you finding difficult to keep your skin moisturised around this time of year? If so, you will love the Hydrating Laminaria Oil . Anne Gray, skincare expert at Spa Technologies UK, put this bottle in my hand and sent me home with it after constantly having to listen to me moan about my dry skin . I mean, how ridiculous of me. 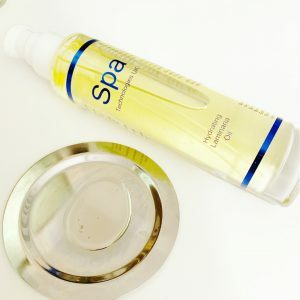 My whole skincare is Spa Technologies UK and my skin has never been better, but I am cheeky sometimes and always looking to get my hand on a product I’ve never tried . When I first applied the oil on my skin I fell in love with the smell and smoothness. It’s like aromatherapy and it is all natural. It glided on my skin like silk and I instantly felt hydrated. I ended constantly smelling myself because I love it so much. Jeez, I think I am obsessed. They don’t use any artificial fragrances or preservatives and it’s made with pure organic Laminaria extract and essential oils to soothe and treat he skin. I did some research about the Lamianaria algae, it’s responsibly harvested and it’s so high in trace elements and sea minerals which are the building blocks of collagen, fighting ageing and strengthening the skin matrix. That means these organic extracts of Laminaria algae are extremely beneficial for the skin all year round. 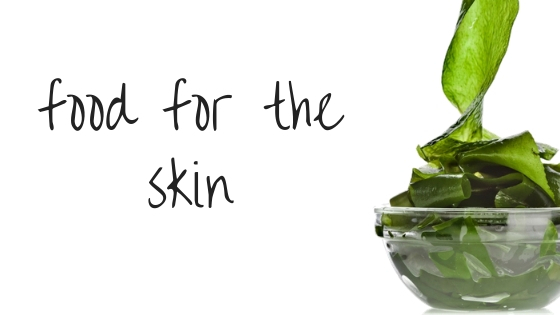 It’s also high in antioxidants that are essential in protecting skin cells and increasing hydration . Sounds really great. The oil feels and smells amazing, but does it actually work? Yes. I’ve been using it for quite some time now (over two weeks) and I don’t think I want to use any other body cream ever again. I apply loads on my knees and elbows to make sure I never get dry skin again and I use it under my day cream and before going to bed. It definitely gives you a boost of hydration and protects the skin from the cold environment. My chest area had the most to gain from this oil as I am not very generous with creams on it, you know, so I can use more on my face. But seriously, why do I neglect my neck and chest when I always show them off to the world? Not anymore. Now, when I wake up in the morning I don’t have wrinkly chest. I don’t think it feels like any other oils and smells waay better than so many out there. It’s all natural and organic, it is vegan certified and you can use it on the face, body and even hair. For the last few days I started applying it on my cuticles as I’ve noticed it keeps them very moisturised and tidy looking. Huge bonus for me.